Have you filed your taxes yet? Do you enjoy filing your taxes or would you rather put it off until absolutely necessary? 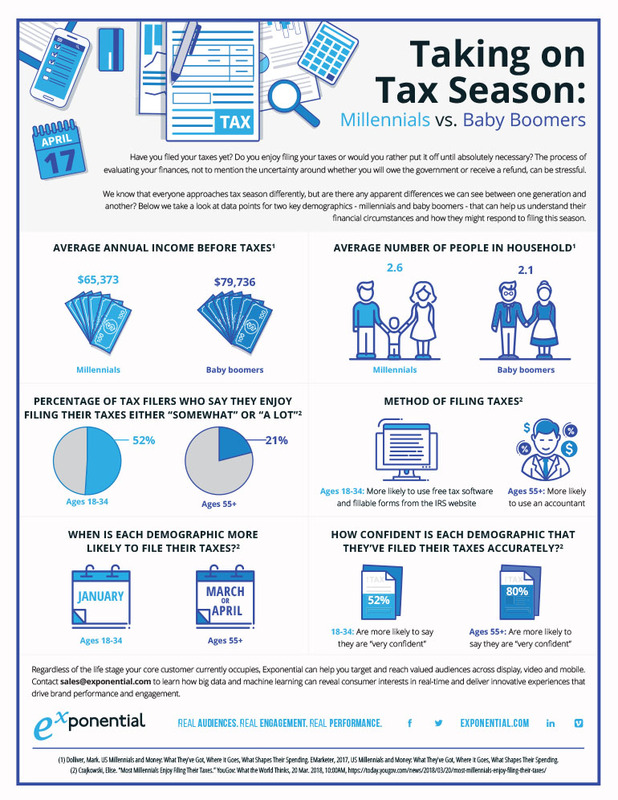 We know that everyone approaches tax season differently, but are there any apparent differences we can see between one generation and another? Below we take a look at data points for two key demographics – millennials and baby boomers – that can help us understand their financial circumstances and how they might respond to filing this season. Contact us to learn how big data and machine learning can reveal consumer interests in real-time and deliver innovative experiences that drive brand performance and engagement.